Below you fill find all funeral homes and cemeteries in or near Akron. 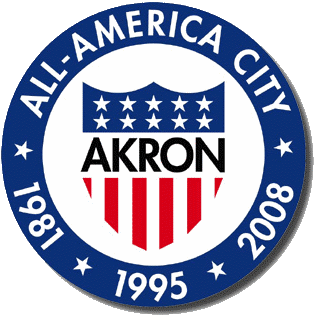 Popular neighborhoods in Akron include: East Akron, Ellet, Firestone Park, Goodyear Heights, South Akron, West Akron, Chapel Hill, Downtown, Elizabeth Park, Fairlawn Heights, Highland Square, Lane-Wooster, Merriman, Middlebury, North Hill, Northwest Akron, Rolling Acres, Summit Lake, University Park, and Wallhaven. Suburbs of Akron: Ellet, Firestone Park, Firestone Tire, Goodyear Tire, Kenmore, Lockhead Martin, Maple Valley, Montrose, North Hill, Ohio Edison Co, Roadway Express, South Arlington, Target, Univ of Akron, West Akron. Akron is also known as: Summit County / Akron city and Akron, Ohio/Sandbox. Their current mayor is Mayor Jeff Fusco. Zip codes in the city: 44301, 44302, 44303, 44304, 44305, 44306, 44307, 44308, 44309, 44310, 44311, 44312, 44313, 44314, 44315, 44316, 44317, 44319, 44320, 44321, 44322, 44325, 44326, 44328, 44333, 44334, 44372, 44393, 44396, 44398, 44399. Summit County funeral flowers can be purchased from one of the local funeral shops we partner with. There are currently 36 funeral options for this city. Akron has been featured in films like: In the Beginning Was the End: The Truth About De-Evolution (1976). Some of the notable people born here have been: Antoine Winfield (american football player), Ramon Walker (american football player), Donnie Nickey (american football player), Andy McCollum (american football player), James Harrison (american football player), Mike Vrabel (american football player and coach), and Dante Booker (american football player). Akron is home to the following sports teams: Akron Zips men's basketball. Akron /ˈækrən/ is the fifth-largest city in the U.S. state of Ohio and is the seat of Summit County. It is in the Great Lakes region approximately 39 miles (63 km) south of Lake Erie along the Little Cuyahoga River. As of the 2010 census, the city had a population of 199,110. 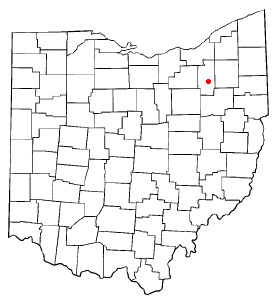 The Akron, OH Metropolitan Statistical Area (MSA) covers Summit and Portage counties, and in 2010 had a population of 703,200. Akron is also part of the larger Cleveland-Akron-Canton, OH Combined Statistical Area, which in 2010 had a population of 3,515,646.Akron was co-founded in 1825 when suggested by Paul Williams to Simon Perkins. In 1833, "South" was temporarily added to the name when Eliakim Crosby settled a bordering North Akron. After Summit County formed from portions of Portage, Medina, and Stark counties in 1840, Akron succeeded Cuyahoga Falls as county seat a year later. The Akron School Law of 1847 created the K-12 system. In 1851, Sojourner Truth attended a convention and extemporaneously delivered the original "Ain't I a Woman?" speech. During the Civil War, Ferdinand Schumacher supplied the Union Army with oats produced by his mill along the Ohio Canal. Between the 1870s and World War I, numerous churches across the nation were built using the Akron Plan.With a population increase of 201.8% during the 1910s, it became the nation's fastest-growing city due to industries such as stoneware, sanitary sewer, fishing tackle, farming equipment, match, toy, and rubber. The companies General Tire, B.F. Goodrich, Firestone, and Goodyear built headquarters, though only the latter remains. Airships, blimps, dirigibles, and zeppelins have been manufactured at the Goodyear Airdock since World War II. The Goodyear Polymer Center and National Polymer Innovation Center are on the University of Akron campus, which anchors the Polymer Valley and is home to the Archives of the History of American Psychology. Akron also headquartered the National Marble Tournament, Professional Bowlers Association, and Women's Professional Mud Wrestling. Home to employers such as Summa, GOJO Industries, FirstMerit Bank, and FirstEnergy, it is listed by Newsweek as one of ten Information Age high tech havens. Awarded by the National Civic League and National Arbor Day Foundation, it was named one of the world's most livable cities. 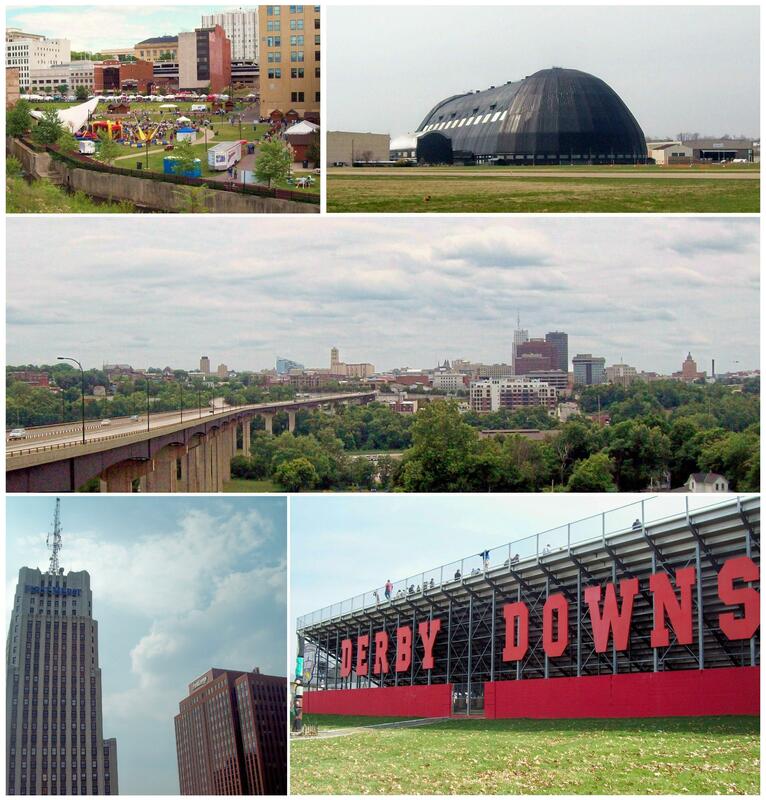 The All-American Soapbox Derby, WGC-Bridgestone Invitational, National Hamburger Festival, Founders Day (Alcoholics Anonymous), and Road Runner Akron Marathon are annually hosted by the city, which was a venue for some events of the 2014 Gay Games. Tourist attractions include Stan Hywet Hall & Gardens and Lock 3 Park, where the American Marble & Toy Manufacturing Company once stood.Residents of Akron are referred to as "Akronites." Nicknames include "Rubber City," "City of Invention" and "Rubber Capital of the World." It was written by Cincinnati Enquirer and Cincinnati Post on March 27th, 2019 that Jennifer E Viering perished in Akron, Ohio. Viering was 48 years old. Send flowers to share your condolences and honor Jennifer E's life. It was written on March 24th, 2019 that Peter K Stauffacher died in Akron, Ohio. Stauffacher was 83 years old. Send flowers to express your sympathy and honor Peter K's life. It was noted on March 5th, 2019 that Lydia Viola Barkey (Derer) passed on in Tustin, California. Ms. Barkey was 93 years old and was born in Akron, OH. Send flowers to share your condolences and honor Lydia Viola's life. It was disclosed on February 27th, 2019 that Margaret Ann Blevins (Frantz) perished in Blacksburg, Virginia. Ms. Blevins was 92 years old and was born in Akron, OH. Send flowers to share your condolences and honor Margaret Ann's life. It was reported by Cincinnati Enquirer and Cincinnati Post on February 27th, 2019 that Martha Copenhaver passed on in Akron, Ohio. Copenhaver was 89 years old and was born in Island Creek, KY. Send flowers to express your sorrow and honor Martha's life. It was written on February 8th, 2019 that Robert Allen Hendershot passed on in Florence, Kentucky. Hendershot was 90 years old and was born in Akron, OH. Send flowers to share your condolences and honor Robert Allen's life. It was revealed by Sarasota Herald-Tribune on February 2nd, 2019 that Janet Lucinda Garner (Rich) died in Sarasota, Florida. Ms. Garner was 94 years old and was born in Akron, OH. Send flowers to share your condolences and honor Janet Lucinda's life. It was disclosed by Orange County Register on January 31st, 2019 that Ruth S Johnston died in Fullerton, California. Johnston was 92 years old and was born in Akron, OH. Send flowers to express your sympathy and honor Ruth S's life. It was disclosed by The Daily Herald on January 31st, 2019 that Ruth Clara Krueger (Grau) perished in Illinois. Ms. Krueger was 88 years old and was born in Akron, OH. Send flowers to express your sorrow and honor Ruth Clara's life. It was disclosed by Kalamazoo Gazette on January 17th, 2019 that Geraldine Opal "Jeri" Schmidt (Miller) died in Kalamazoo, Michigan. Ms. Schmidt was 94 years old and was born in Akron, OH. Send flowers to express your sorrow and honor Geraldine Opal "Jeri"'s life. Whether you are planning or pre-planning a funeral, iMortuary can assist you. iMortuary lists local funeral providers in the Akron area. Use iMortuary to locate the Akron cemeteries, funeral homes, funeral flowers, and cremation providers that suit your needs. This American "boom town" lives up to its nickname "The Rubber City." Throughout its history it has been home to four well known tire manufacturers: Goodrich, Goodyear, Firestone, and General Tire. It is the home of the Polymer Valley, where 400 companies which create polymer related products are located. Ninety four are located in the city proper. The parking lot and main entrance are located in the rear of the funeral home at 20 Lafayette Street ... donations be made in his memory to the CJD Foundation, PO Box 5312, Akron, OH 44334. Listing all funeral homes in Akron, Ohio so you can easily send flowers to any location (same day delivery) or find any funeral service. Need flowers delivered to a funeral home? It's easy to find a AKRON, OH funeral home from this list and call PAM'S POSIES. We work with local florists and flower shops to offer same day delivery. You will find budget sympathy flowers in Akron here. Our funeral flowers are cheap in price but not in value.